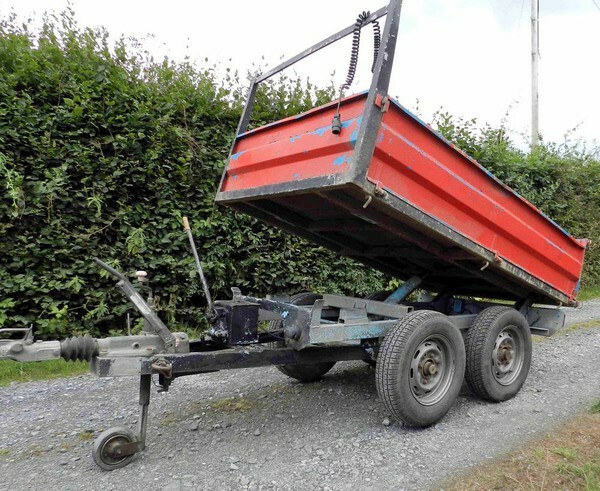 Wessex Manual Hydraulic Tipping Trailer. 4 wheel braked chassis. 2050 x 1240 mm Steel sides removable to give flat loading space. Ladder rack. Bradley Doublelock Hitch with security lock. Good tyres all round.